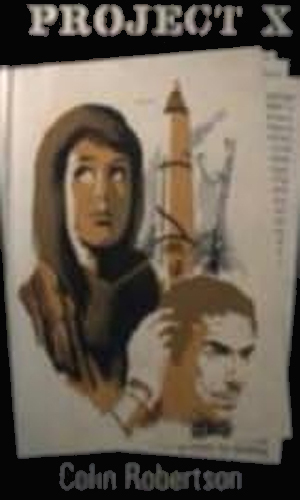 Alan Steel is an agent with the British Secret Service. Operating with the codename of Number 222, Steel is considered one of the top agents working for Her Majesty's Secret Service. He is usually the man called when his boss, named Ransome but usually referred to as "R", has a particularly tricky assignment. The department that Ransome runs does not have a name and is not known by many in the government. Ransome answers to “an all powerful, mystical person in direct contact with the Defence Ministries.” As a cover for this activities and those of his agents, he runs Anglo-Continental Canned Products Ltd., importers with their head offices in London but with branches all over Europe and beyond. As the series starts, Steel is 34 years old, “loose limbed, heavy bones, yet almost dapper in appearance”. His style of dress and mannerisms often disguise the muscles that give him the ability to move fast and hit hard when needed. He was skilled in all manner of covet activities and very experienced at using them, having been working for Ransome for more than a decade. Before taking the job he had been a constable in the police for a couple years but left with no regrets when the chance for more action came. Now with fluency in four languages besides his own, he is able to move about Europe without hesitancy. Considered a very handsome man by the ladies, even with a mouth that was said to always hint at ruthlessness, Steel “took like as it came, never planning far ahead” as he truly did not feel there was much of a chance for a long life for someone in his line of work. A man of action, Steel is easily bored and considered capable of rash moves but he gets the job done, while those who stand in his way usually get eliminated. Alan Steel's job was just to lend assistance to a fellow agent bringing vital information out of Russia. When that agent gets outwitted by an enemy spy, it is up to Steel to find a solution. The murder of a Swedish diplomat's wife in Rome is the starting move in a Communist plan called Romulus-Rex. To learn more, Alan Steel must head to Italy to make himself a target too tempting to pass up. 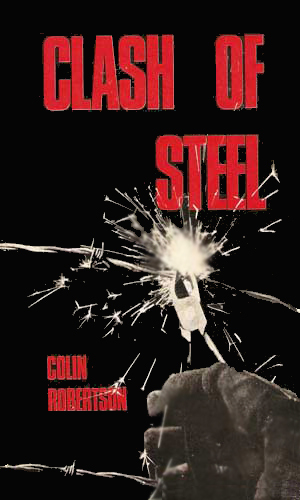 Alan Steel is sent to Geneva to find which of a noted scientist's assistants is selling secret to the other side but soon after his arrival, the scientist is found murdered and Steel is the prime suspect. 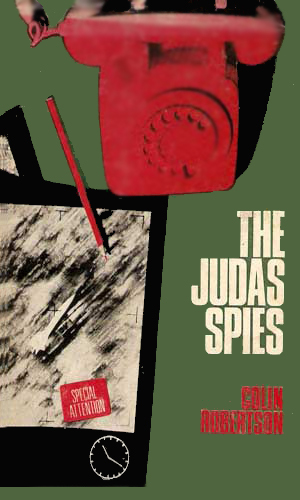 A straight-forward spy series, definitely British with its stiff-upper-lip approach to situations, this three-book series was the work of an author who put out more than 50 books during his career. Mr. Robertson usually concentrated on private eyes, with three male series and one female series to his credit. This appears to be his only foray into the espionage world. It's not a bad one. Steel's attitude towards life, and his expectation that it would not last long is fascinating. Since he does not think too far ahead, his rash behavior is unexpected and a blast to read. You know and he knows that going into a dark room is hazardous but you and he know he cannot stop himself and why should he? If this does not kill him, something else will. Besides, it might be fun!